ZAGREB, April 20 (Hina) - The president of the Croatian Bishop Conference (HBK), Zadar Archbishop Å½elimir PuljiÄ‡, has sent messages wishing a happy Easter to President Kolinda Grabar KitaroviÄ‡, Parliament Speaker Gordan JandrokoviÄ‡ and Prime Minister Andrej PlenkoviÄ‡, urging them to promote kindness, understanding and solidarity among people and nations. "I use this opportunity to extend best wishes for Easter, the resurrection of Christ, which is the source of human hope and the strength and joy of the Church...The resurrected Christ is calling on us to promote kindness, understanding and solidarity among people and nation. 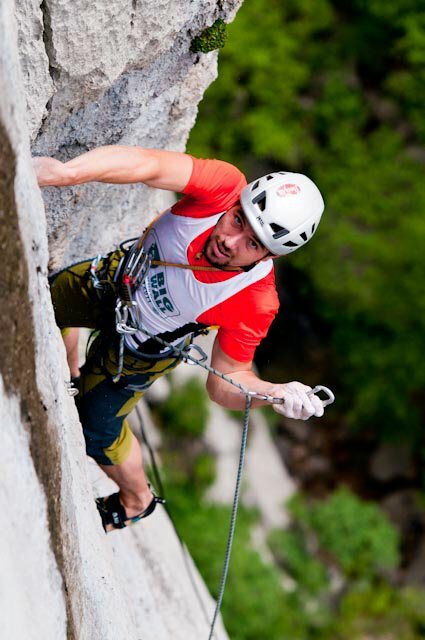 And we must continue doing that despite temptation and numerous obstacles," PuljiÄ‡ said in his message. Parliament Speaker Gordan JandrokoviÄ‡ issued a message on Saturday, wishing a happy Easter to all Christian believers in Croatia. 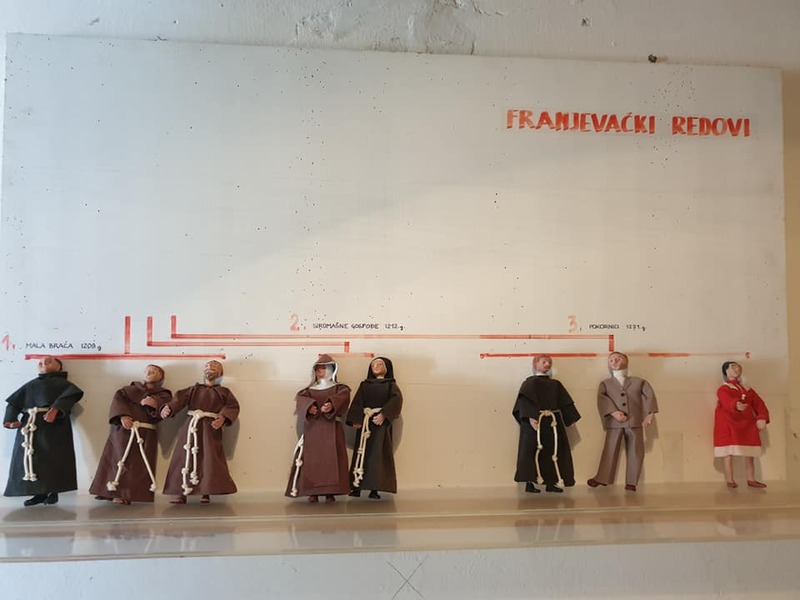 Stressing that Easter is the foundation of the Christian faith, JandrokoviÄ‡ said it was also urging people to promote unity and show care for those in need, as it was the only way to find justice, development, true freedom, peace and happiness. More Easter news can be found in the Lifestyle section. April 20th 2019, itâ€™s not too late to escape from the â€˜real worldâ€™ for a bit, book a sailing holiday in Croatia. Letâ€™s face it, there is not much positive news around the world at the moment, or this is what the mass media would have us believe. What, with Trump, Brexit, Climate change, and news being released that we are in the midst of a mass extinctionâ€¦ it is easy to feel overwhelmed. Maybe a sailing holiday in Croatia is just what the doctor ordered. Last year, sailing in charter for the summer, almost every single person shared that they were feeling weighted by anxiety; the stress of the daily grind coupled with the state of the world in general. These were well-educated people, all successful in their various careers, feeling at a complete loss. Stepping aboard our yacht for the first time, everyone was excited but also apprehensive, everyday stress notably resting on their shoulders. One of my greatest joys working on a yacht in private charter, is seeing the difference between people stepping aboard and then disembarking at the end of the week. Our itinerary is based on our clientsâ€™ wishes and while some people come aboard with a list of â€˜must seesâ€™, it usually doesnâ€™t take long for them to realise that this will not just be another trip of ticking things off the â€˜bucket listâ€™, it offers so much more. We oblige their initial requests, talk and inform along the way, but within a few days, most guests entrust the experience of their holiday to us â€“ an honour we do not take lightly. We love sharing the history and culture of Croatia with our guests, but more so, we love taking them to â€˜off-the-beaten-pathâ€™ locations, and just allowing them to completely relax and immerse in nature. Slow mornings, with breakfast, hot coffee and fresh juice waiting. Anchored in a bay with nothing but the rhythmic beating of the cicadasâ€™ chorus to fill the air. Diving directly off the boat into the crystal-clear turquoise waters, before we hoist the sails and catch the late morning breeze and find another spot to anchor for lunch. 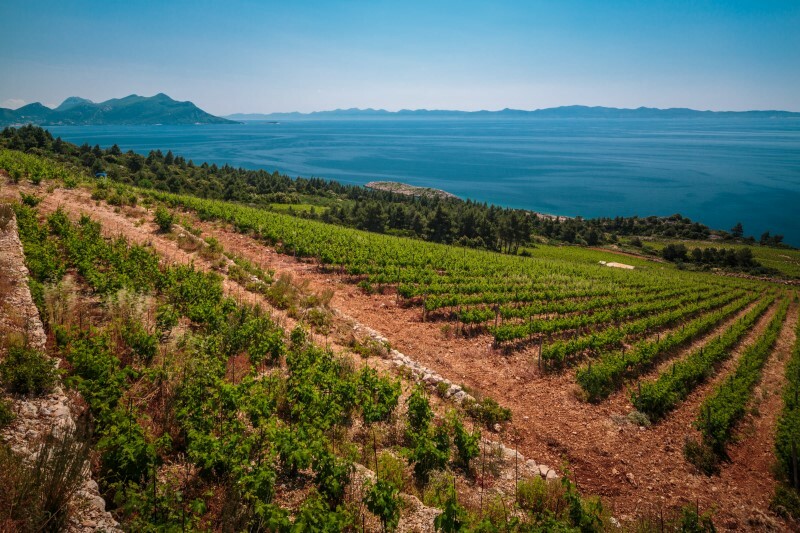 Fresh grilled fish, accompanied with a crisp glass of local wine â€“ did you know Croatia has 132 indigenous grape varieties? Another swim and siesta, before we pull into the harbour of a quaint coastal town. Evening strolls, local restaurants, live music, ice creamâ€¦ before happily toddling back to their home away from home. If this doesnâ€™t sound like bliss, I donâ€™t know what does. I could wax lyrical about the historical sites, the culture, nature, gastronomy of Croatia but more often than not, it is the simple moments that stand out for our guests. We had esteemed psychologists, actors, IT experts, people topping rich lists, tell us about the stress and drama of their lives and then we watched these same people succumb to the beautifully slow rhythm of a sailing holiday in Croatia. Those who had booked several activities in advance, eventually cancelled some of their plans and threw their itinerary out the porthole â€“ content to just take each day as it came, allowing for whim and inspiration or just divine â€˜nothingnessâ€™ (fjaka). I am not advocating from running away from responsibilities and the reality of this world, but sometimes, we need a small retreat, an escape from life to be able to return to it invigored. And, I may be biased but, after years of travel, I still have not found anything that tops a sailing holiday in Croatia. Every single guest we have ever had, no matter how well-travelled, has inevitably told us that it was their best holiday, ever. Nature has an undeniable way of bringing us out of our heads, away from daily pressures and back to ourselves. And, a 7-day sailing holiday in Croatia is the best way to truly escape everything and immerse ourselves in nature and the present moment. Youâ€™ll wake up in peaceful bays, sail past the changing coastline of unique islands, swim in crystalline waters, watch every sunset and maybe catch a sunrise (which we highly recommend doing at least once). I am lucky that I get to sail Croatia all summer. Yes, it is physically and emotionally challenging at times, but for the most part, I have nature to reinvigorate and inspire me. While I escape the â€˜real lifeâ€™ for four months of the year, it leaves me more inspired to connect and engage in a meaningful way off the boat. It keeps me connected to this world, knowing that we all need to do our part to make a difference, and it helps keep me grounded and put life in perspective â€“ by only focusing on what matters. And, I believe that even if for only 7-days, this is what all of our guests get from their sailing holiday in Croatia. At the end of every week, our guests stepped off our yacht â€“ sun-kissed, with a spring in their step, a new glitter in their eyes and the weight of the world removed from their shoulders. I would like to think that they had more to give to their families and lives once they returned to the â€˜real worldâ€™. We canâ€™t be our best and give our all to life if our cups are empty. Escape. 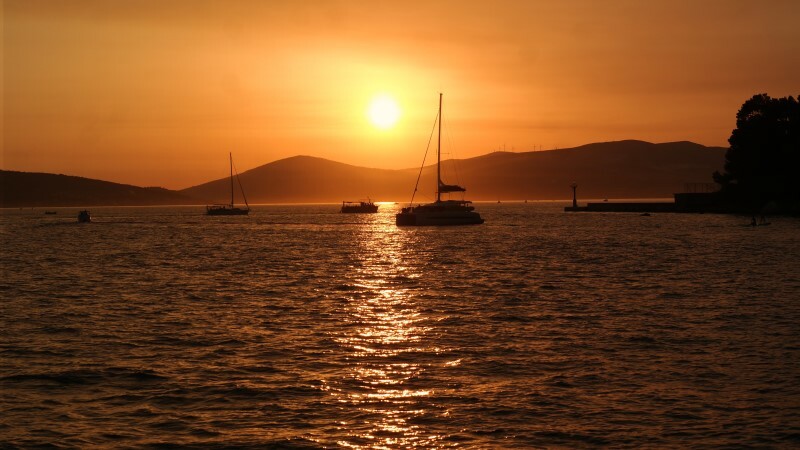 Book a sailing holiday in Croatia to escape the stress of life â€“ then return fully-charged. For more stories like this, visit our dedicated Lifestyle Page, or Total Croatia Sailing. 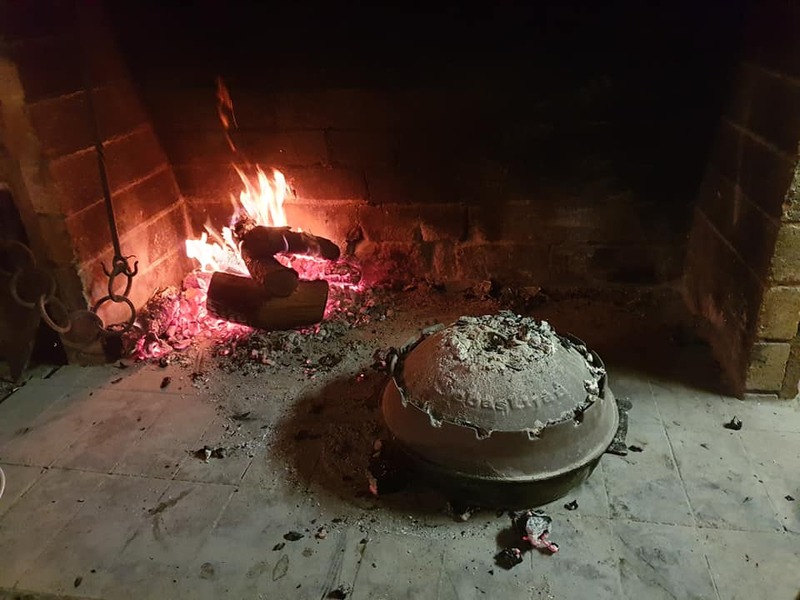 April 20, 2019 - Another missed opportunity from Croatian tourism chiefs with the Game of Thrones Series 8 - when will we start taking advantage of these incredible gifts? It was one of the most eagerly anticipated television series events in history. A series which had some of the biggest global brands doing deals with producers HBO to promote their brands with this global TV phenomenon. 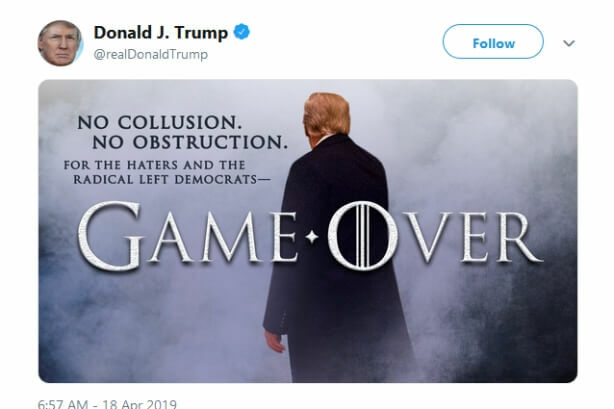 Even the Trumpster got in on the action. An advertising opportunity which many global brands took advantage of, and one which generated considerable interest in the global advertising industry. Here are some of the best of the 100 or so brands which partnered up with HBO. Croatia, Dubrovnik, Kings Landing, almost the spiritual home of Game of Thrones. Surely they would have taken advantage of such a golden global opportunity? They are certainly capable of great promotional work, as the innovative and award-winning football promotion video last year showed, a video which was actually made several months before the World Cup started. I checked the official Croatian National Tourist Board Facebook page. Absolutely nothing at all. I went to the Croatian National Tourist Board website and entered 'Game of Thrones' into the search box. Surely a treasure trove of GoT info would await? In fact, the first search terms - Our Lady of Trsat in Rijeka, sailing, an exhibition in Zagorje, the Feast of St Blaise and the Sanctuary of Our Lady of Sinj had about of much to do with Game of Thones as British cooking to quality gourmet experiences. But if the Croatian National Tourist Board had missed the opportunity, surely the heartland of Game of Thrones, Kings Landing itself, would do justice to this tourism gift? I went to the Dubrovnik Tourist Board website. Having expected to find a dedicated GoT/Kings Landing section and having been disappointed, I entered 'Game of Thrones' into the search box. My reward was this page above. With not a mention of Game of Thrones in any language. I don't like to complain, but seriously, WTF? It follows a depressing trend of the ineffectiveness of the promotion of tourism jewels. I really do not like writing negative stuff about Croatian tourism, but unless we realise the problem, we can't fix it. Just as the Kings of Accidental Tourism congratulate themselves on having Game of Thrones in their portfolio while doing almost nothing to promote the fact, a UK tourism agency conducted a masterstroke by offering a free holiday to Croatia to those who could predict how the final season will finish. Where are we with wine tourism, or gourmet tourism in general, some six years later, compared to the competition gourmet countries of France, Spain, Italy and Germany for example. Football. If any nation was in pole position to take advantage of the branding of football and tourism after last summer's heroics in Russia, it is Croatia. But the tiny country which dared to dream has had the initiative in branding football and tourism together usurped by an even tinier country which has never been to the World Cup and does not have a single player who has ever played in the Premiership. Lessons from Rwanda: Promoting Tourism Through Football, African-Style. Where to look for inspiration to take advantage of Croatia's Game of Thrones gift? A Lord of the Rings section with a very detailed drop-down menu of choices - looking for some recommended trips? Here are 92 recommendations. Want to learn more about various features of Lord of the Rings? Here are 1,392 options. I mean, seriously, how hard is it? 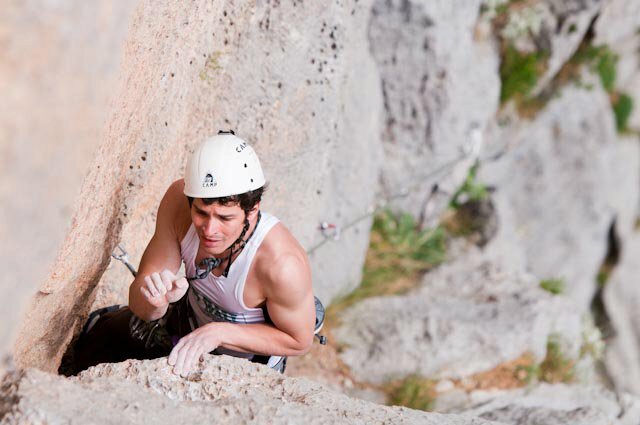 To learn more about Game of Thrones and Croatia, check out our Total Croatia guide. April 20, 2019 - For the second season in a row, the Major League Soccer (MLS) in the United States boasts one Croatian player. Namely, the 30-year-old Damir Kreilach, who is the former Rijeka captain, plays in the shirt of Real Salt Lake and faces football superstars like IbrahimoviÄ‡, Rooney, and Schweinsteiger. Damir Kreilach scored last week for Real Salt Lake in their win against Orlando in the seventh round of the US championship. He returned after a red card suspension and was the second goal scorer in the 2:1 victory. Kreilach spoke to HRT from the United States. â€œWe're a little weaker in the championship; this is our second win. There has been a lack of luck, and I also had a red card... but now we are back to winning, and I hope this will continue. Our primary goal is to fight for the playoffs, we have a good team, and I believe we can do it." After 150 appearances in the jersey of Rijeka and Union Berlin, the Croatian midfielder is in his second MLS season. He signed for Real Salt Lake in February 2018. Last season's West Conference quarterfinals, Real Salt Lake kicked out Los Angeles FC - and they even crushed LA Galaxy in the championship - just one of the world-famous names. The MLS is made up of 24 clubs, 12 in the Western and Eastern Conference. Real Salt Lake won the championship ten years ago, their games each week played in front of a sold-out stadium with 20,000 seats. Kreilachâ€™s best season concluded with 15 goals and five assists - excellent statistics for a midfielder. He has also become an audience favorite. The US did not compete at the World Cup in Russia last year, but most Americans cheered for Croatia. Damir Kreilach's contract with Real Salt Lake is good until the winter of 2020, so what then? Kreilach left Rijeka in 2013. Rijeka has since moved to Rujevica stadium. However, a Chinese investor could soon begin building a new stadium in Kantrida. His ultimate dream was to play in the jersey of the Croatia national team. 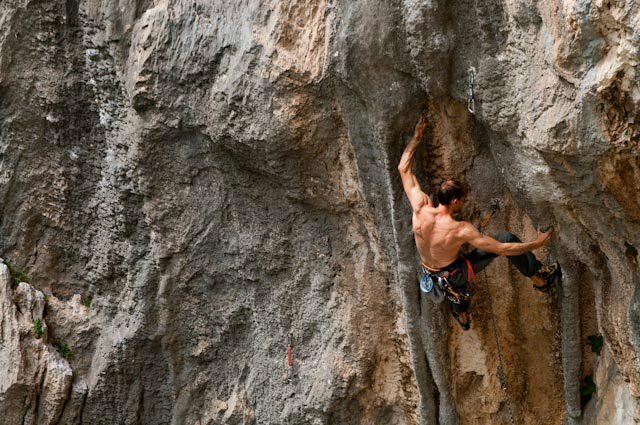 One thing is for sure - wherever he is, Kreilach still has a lot left to show. 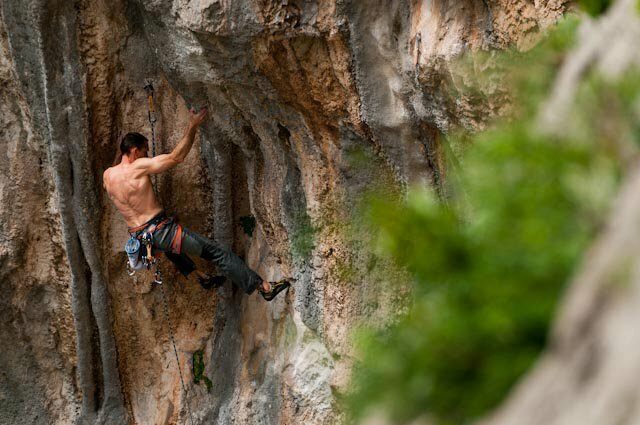 To read more about sport in Croatia, follow TCNâ€™s dedicated page. EgoFree, a music and community festival supporting homeless charities and the local art force, will be held for its fourth edition this month. The BizovaÄ�ke Toplice spas and health centre near Osijek has broken new records â€“ in the first three months of this year, the revenues from private guests grew by 66 per cent compared to the same period last year. The number of private overnight stays increased by 30 per cent and the number of guests by 40 per cent. This is the most substantial increase since the modern spa complex, one of the best in Croatia, opened its doors three years ago, reports VeÄ�ernji List on April 20, 2019.
â€œThe number of patients paying for accommodation and having physiciansâ€™ referrals has fallen, while the number of those paying for the full service (accommodation to SunÄ�ane Toplice and health services to LjeÄ�iliÅ¡te) has increased. The demand for special physiotherapeutic techniques for which we systematically educate our physiotherapists has also expanded,â€� explains Sandra MihaljeviÄ‡, the director of the BizovaÄ�ke Toplice health centre. Most private guests come from Croatia, Bosnia and Herzegovina, Germany and Austria. In addition to physical-therapeutic procedures as recommended by their doctors, they ask for massages and specialised pain and stress relief techniques. BizovaÄ�ke Toplice also specialises in working with amputated patients. â€œWe have established a team of physiotherapists and have excellent business cooperation with the prosthetic supply services, so the rehabilitation of amputees is a complete process â€“ from taking patients out of the hospital, bringing them directly to us or taking them to their homes,â€� said MihaljeviÄ‡. If a patient has to spend a certain period of time at home, he or she is visited by prosthetics experts and the patients also receive administrative help, since they are often single persons who do not have anyone who can help them. â€œEach person whom we help stand up from a wheelchair and have a somewhat independent life is a huge success for us,â€� she says. The plan is to build a new therapeutic facility. â€œIt will significantly increase the capacity of the therapeutic part of our health resort and further increase the number of patients. We will complete the offer of BizovaÄ�ke Toplice, which will reach the very top of the rehabilitation institutions in Croatia,â€� says Marcel Medak, CEO of BizovaÄ�ke Toplice. Devastated and bankrupt, BizovaÄ�ke Toplice was sold at the seventh auction to Jako Andabak for 14 million kuna in 2014. The first wave of investment began right away â€“ 10 million kuna was invested in the largest wave pool in Croatia. The construction of the modern health resort cost some 22 million kuna. At the same time, indoor pools have been reconstructed, and sports facilities and the environment were also renovated. This all cost 20 million kuna. A total of 54 million kuna has been invested in the renovation of the complex. And the most significant investment is about to begin â€“Hotel Termia will be demolished and replaced by a larger facility, with four stars and 160 rooms, which will be 40 rooms more than now. That investment will reach between 16 and 17 million euro. Translated from VeÄ�ernji List (reported by Suzana Lepan Å tefanÄ�iÄ‡). More news about BizovaÄ�ke Toplice can be found in the Lifestyle section. 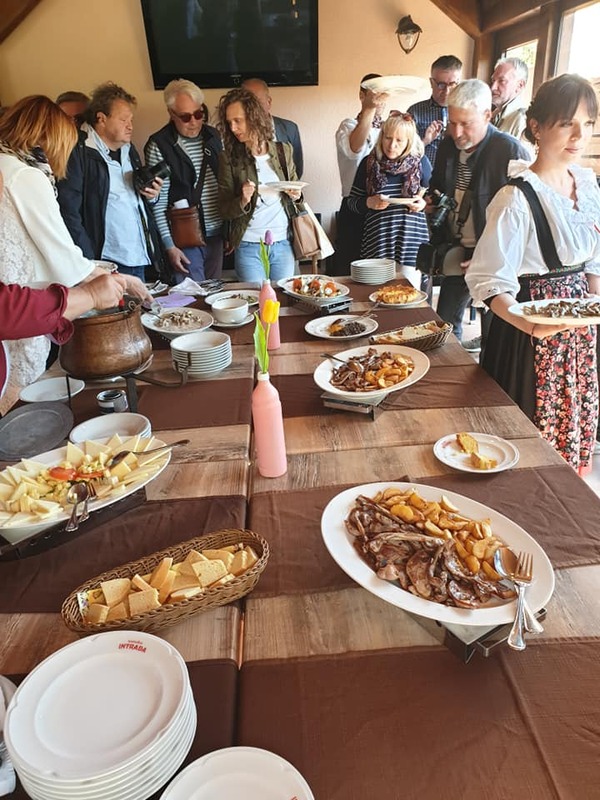 The Krk Food Fest opened on April 19, 2019, and TCN joined 50 other journalists on a 3-day Gastronaut tour of the island with a bridge to learn more. Having spent so many years living on one of the most beautiful islands in the world, I am always curious to compare and contrast my little slice of paradise with other islands. And while an island would have to be very special to come even close to me shifting my allegiances (as Korcula has managed to do), it is rare that I find something that compares. 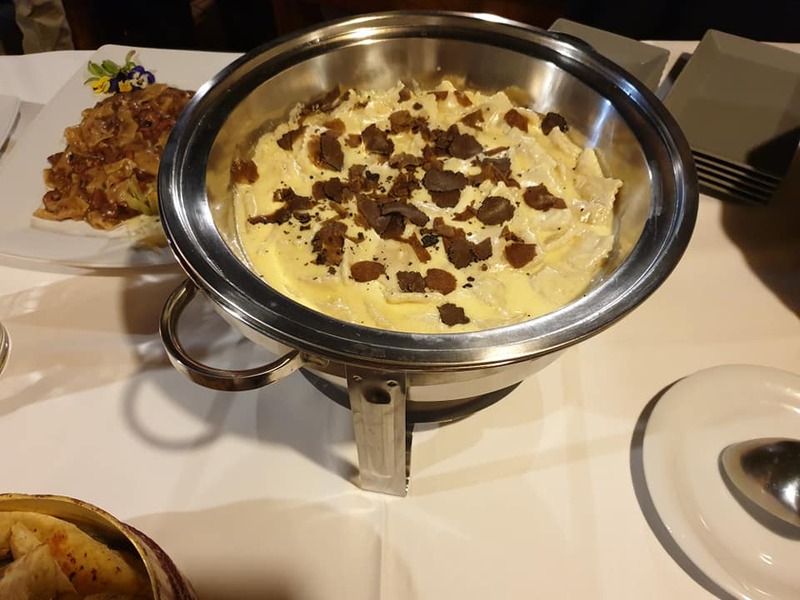 But if you are looking for someone to show you the very best of a destination in the shortest possible timeframe, then I heartily recommend the gourmet tours of Karin Mimica and the fabulous Gastronaut. I posted on social media before our three-day tour of the island and participants of Krk Food Fest that I would even follow Karin to the gates of hell if she were organising the door, for she is simply the best in the business. And through her eyes and programme with the Krk Tourists Board, the island of Krk shone. Such is the popularity of the Gastronaut tours, which this time included 50 journalists from all over the region, as well as the UK, that restaurants are keen to showcase their wares in front of such an audience, and the Gastronaut Krk programme was among the fullest - and most delicious - I have been fortunate enough to participate in. 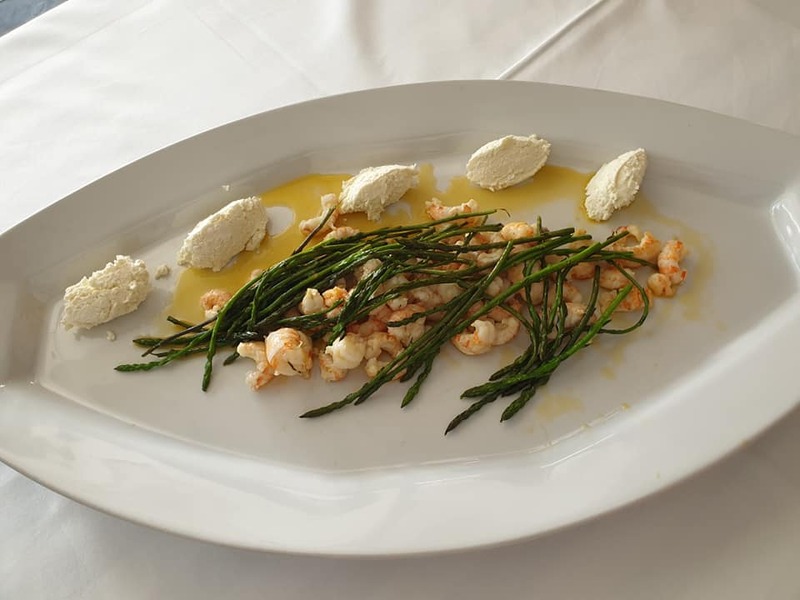 And the theme of 'Tastes of Spring' got off to an incredible start in Malinksa at Restaurant Primoska Koliba, where prawns and wild asparagus were just one of the outstanding dishes. 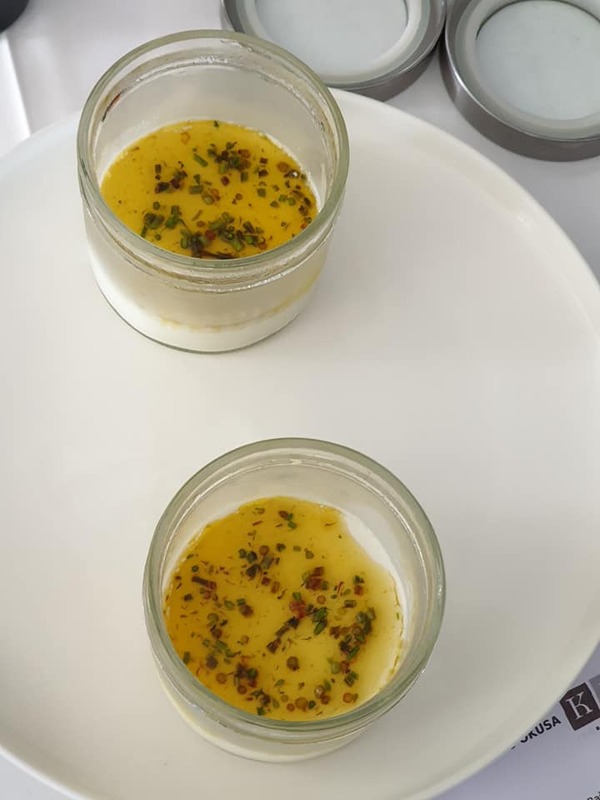 But first prize for innovation, and a true delight, was the asparagus panna cotta. Very original and in keep with the theme of the festival. 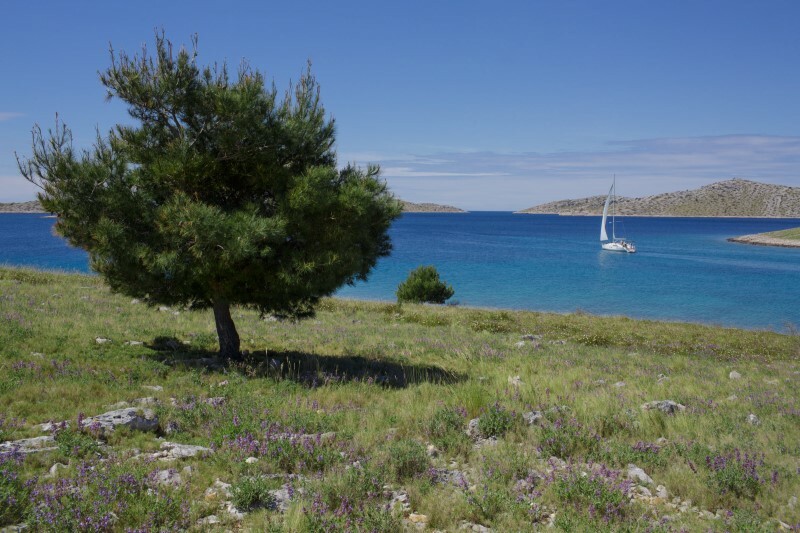 Nothing quite beats Spring on a Croatian island when the weather is favourable. A time to enjoy before the peak season crowds and higher temperatures. Having enjoyed the Korculanske Pjatance food festival about the same time last year, I heartily recommend you look into the Croatian food festivals taking place this time of year - here is an introduction to some of the quirkier ones - Natural Food Festivals: 25 Things to Know about Croatian Gourmet Goodness. A short walk to Hotel Malin's Mulino restaurant brought the second round of breakfast, of which the highlight was this egg fritata with bacon, prawns and asparagus. One of the keys to the success of Gastronaut tours is the precise organisation and Karin's ability to keep her guests under control and on schedule, no mean feat when then there are 50 foodie writers tucking into fine wine and food. 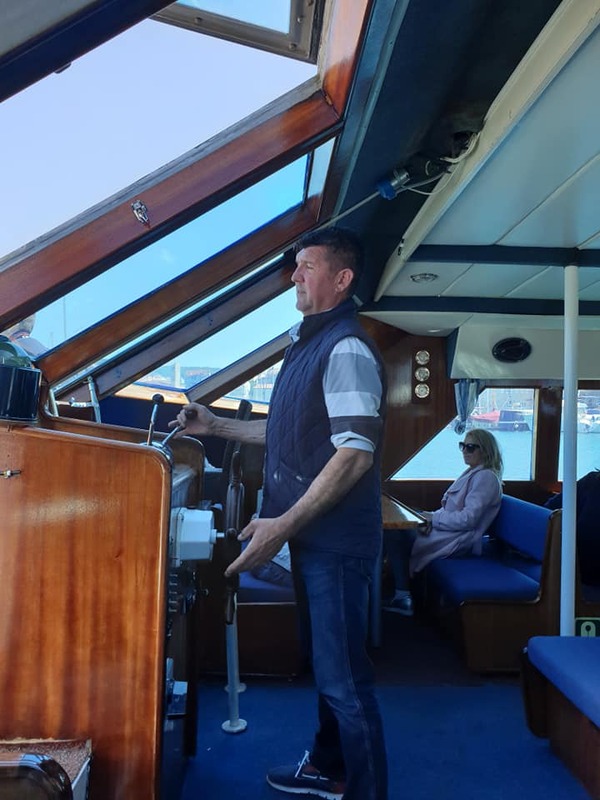 The next stage was a joy, and a rather unusual experience - a short catamaran ride to Porat with Aquavision - complete with huge glass windows below deck, where one could observe life below and above water simultaneously - check out the video above. 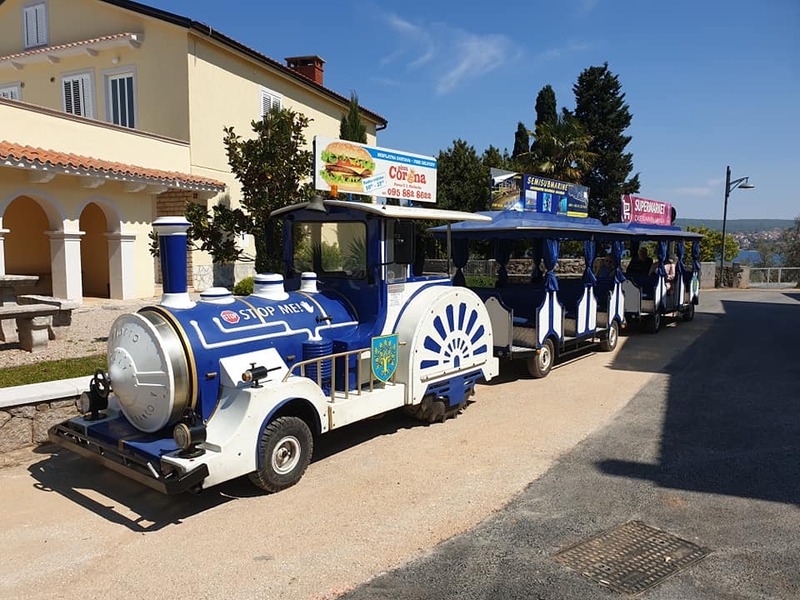 More unusual transportation awaited in Porat in the shape of a road train, which was on hand to take the group for olive oil tasting at OPG Utla and a visit to the Franciscan Monastery in Porat, which involved a little off-roading - a first in my train riding experience. The monastery, with its cool cloister, had some outstanding artifacts (we will be writing a separate article soon), and a first introduction to the ancient Glagolithic language, indigenous to the Krk region, about which we were to learn much more the following day. 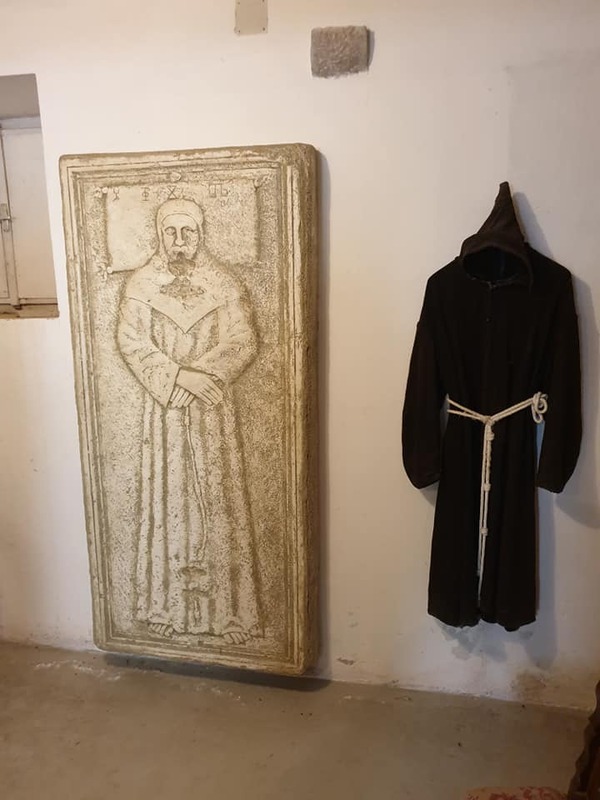 I particularly likes this cute timelime of Franciscan monk fashion over the centuries. Next stop OPG Utla, a true oasis of calm in this already peaceful island. Sitting among the trees, tasting the excellent family olive oil and admiring another great sea view, this short stop was in many ways a highlight of a very busy day. 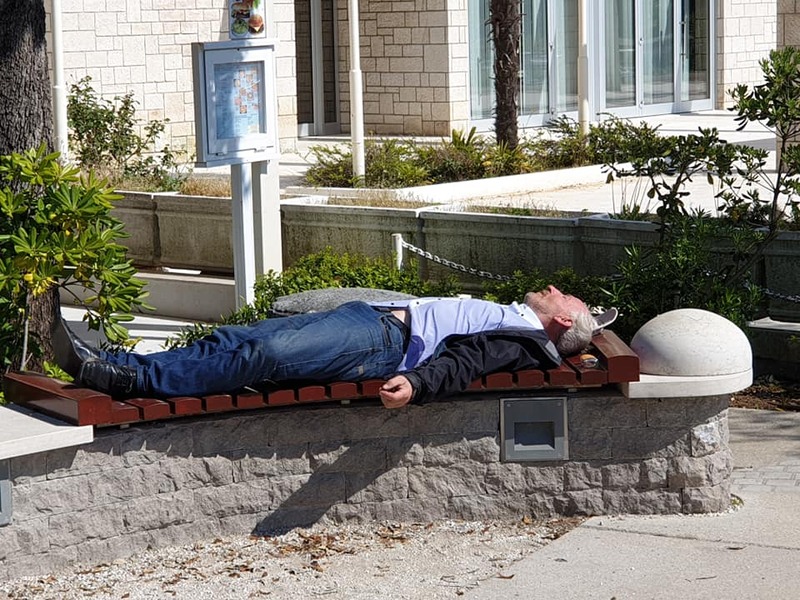 And it seemed that I was not the only one in the mood to relax - I declare the 2019 bench tourism season officially open with this local giving a superb display of the 'fjaka' state of mind. Krk is an island. And it is not. A bridge connecting Krk to the mainland in the 1980s removed one of the biggest characteristics of an island - the need to arrive by boat. Rather than be tied to a ferry schedule, locals and tourists can access the island 24 hours a day, via the 1.4 km bridge, at a cost of just 35 kuna (free for locals), which not only compares favourably with a car ferry cost, but makes Krk immediately more appealing as a destination. No wonder it is one of the most popular places to own weekend houses for people in Zagreb, just over two hours away. I was expecting that Krk would have lost some of its island identity as a result, but it very much had the feeling of an island full of its own traditions and quirks. And Malinska Bay, above, is typical of an island village harbour. The roads on Krk are excellent, with good access to all its coastal destinations. What did surprise me the most was the sheer diversity of its vegetation. 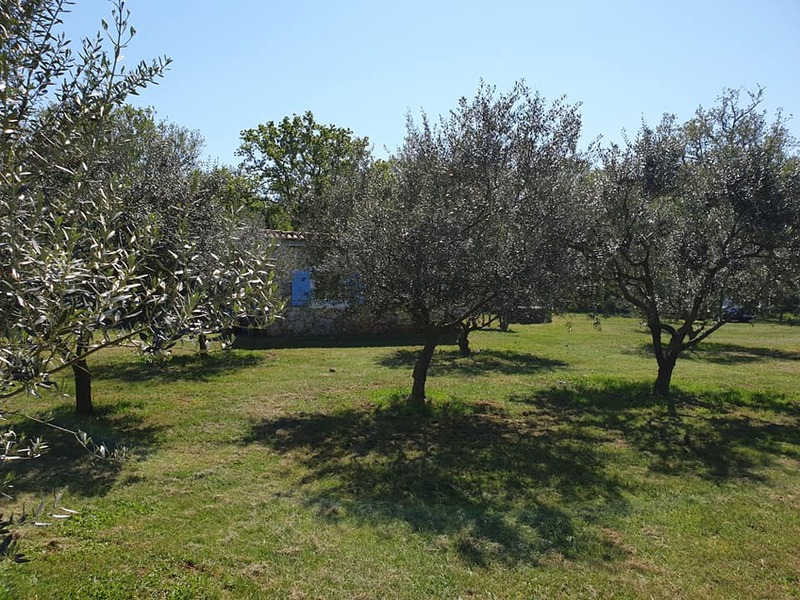 Having been raised on Hvar pine trees, the Mediterranean flora and fauna on the one hand, and forests of oak on the other, were a striking and very welcome contrast. 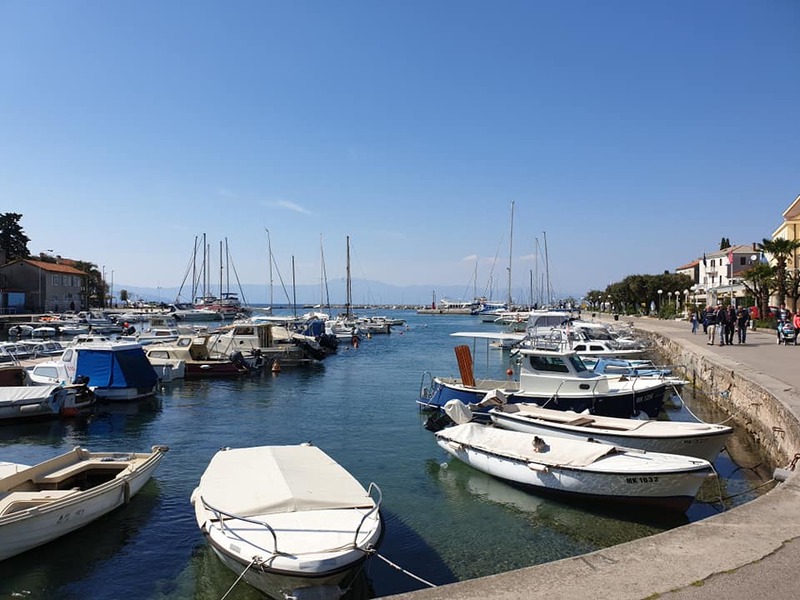 Incredibly, only three hours had passed since the start of the tour with those prawns and asparagus at Primorska Koliba, and time for more food, as Karin rounded up the troops for a return boat ride to Malinska. I decided to stay above deck for this one, as journalistic underwater selfies took place below me. Next up, Konona Intrada, and a first taste of the famous Krk lamb chops, whose taste is partially defined by the salt brought to the island by the biting Bura wind. It was well worth the wait. Our train driver was on hand to deliver us to our next destination, Konoba Bracera, where I felt more than a hint of Dalmatia. 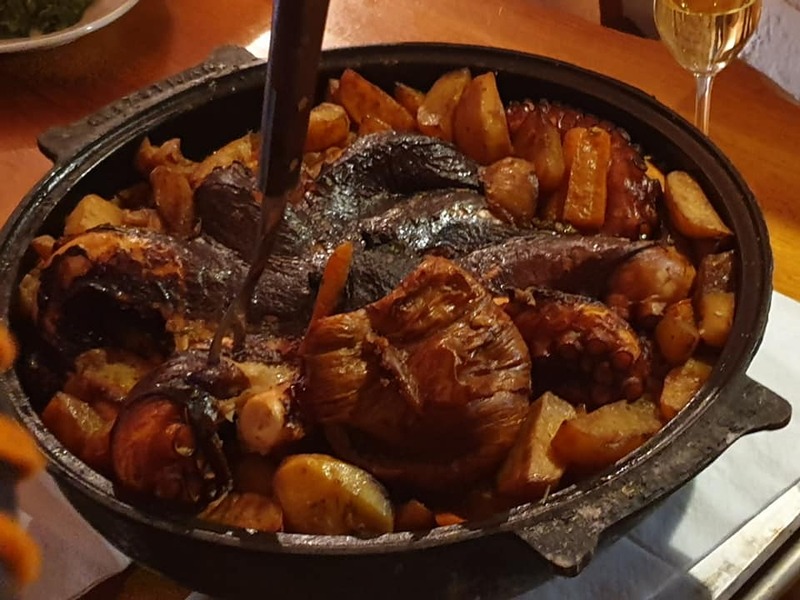 Octopus peka, slow cooked with potatoes and vegetables under an iron bell. One of the true classics of Croatian coastal cuisine. The next stop was a mere 100 metre walk to Nostromo, whose dishes were showcased together with Bistro Toni. 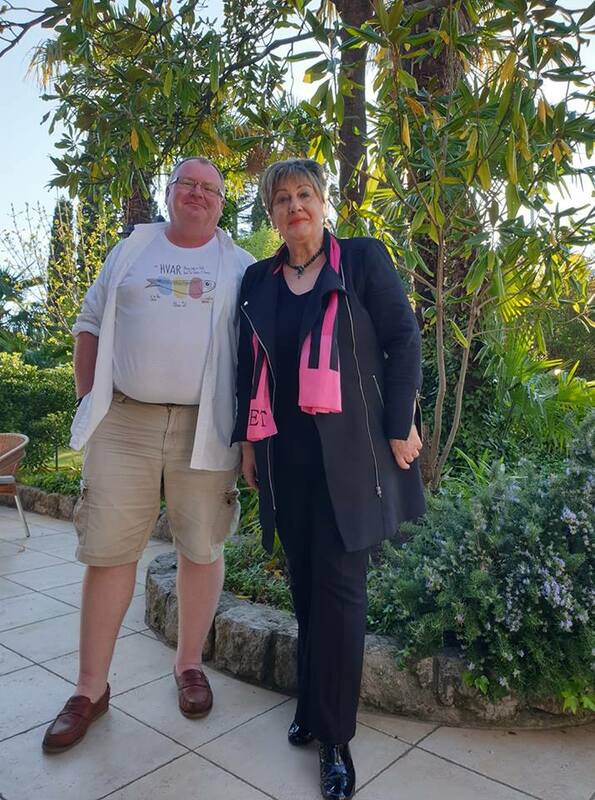 I did not manage to learn more about their culinary offers, as I had a much anticipated meeting with Vlasta Brozicevic, owner and medical tourism dynamo behind Terme Selce, the nearby health resort which has treated, among others, over 120 Olympic medal winners in her 30-year career. A remarkable woman, whom we will be introducing in greater detail soon. Did I say it was a gorgeous time of year to visit Krk? Young Ana quickly tempted to the lure of the Adriatic. A return to the town of Krk to Kuca Krckog Prsuta (the Home of Krk Prsut), after I had missed the stinging nettle soup and dried octopus brudet at Pod Prevolt. 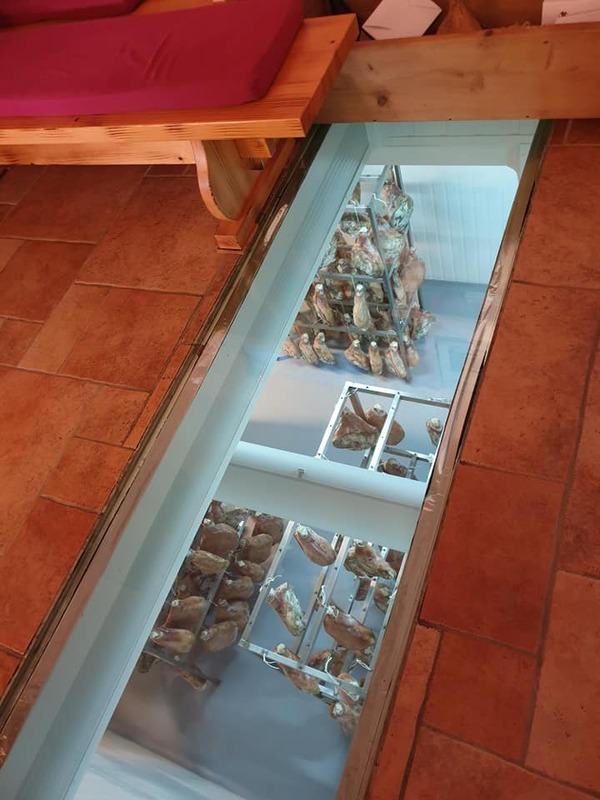 The view through the floot at Kuca Krckog Prsuta - now I want a basement like that! 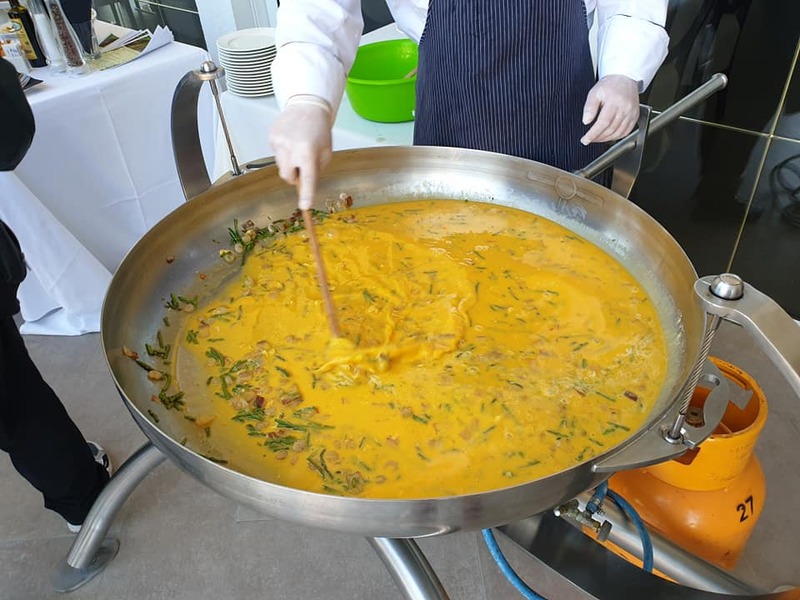 The prsut was excellent, as were the associated products, and the prsut pate was to die for. 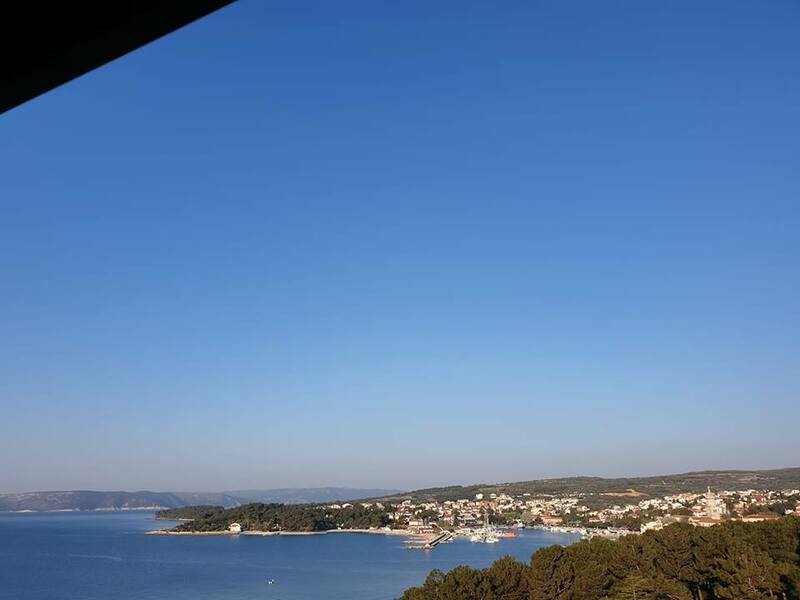 There was time to check into the very comfortable Hotel Drzica in Krk, with 40 minutes to enjoy hotel terrace views like this before a gentle walk into two for an impressive double to finish off the first night. First up was Galija in the heart of the old town, which served up some of Krk's famous surlice pasta dishes, but I had eyes for only one - this delicious home-made ravioli stuffed with prawns and adorned with truffles - one of the highlights in a truly impressive Krk gourmet day. 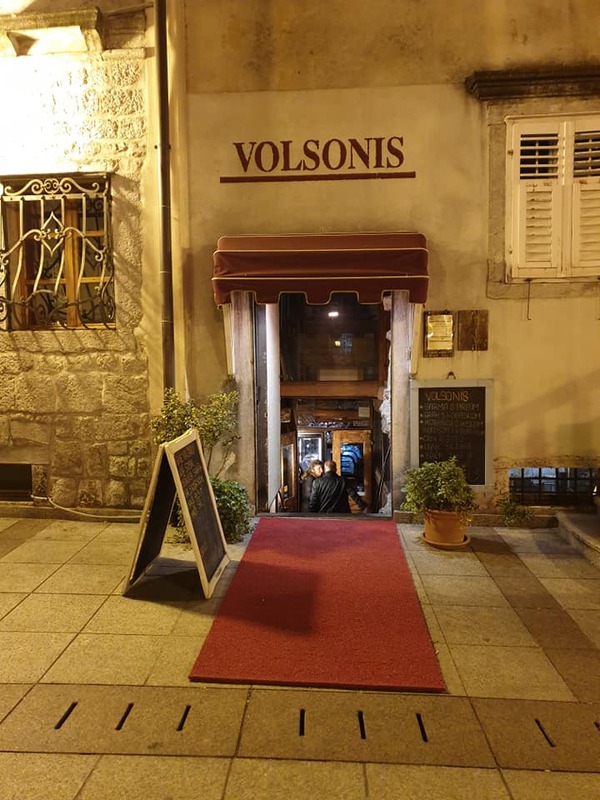 And just when I really couldn't any more, a little nightcap with nibbles at historic Volsonis in the old town of Krk. A gem of a find and a great bar with cocktails. But what do to when you are a bar and decide to expand and find a Roman wall in the basement? Change your plans for sure, and the wall has become a major tourist attraction, while Volsonis has adapted to the new realities rather well. 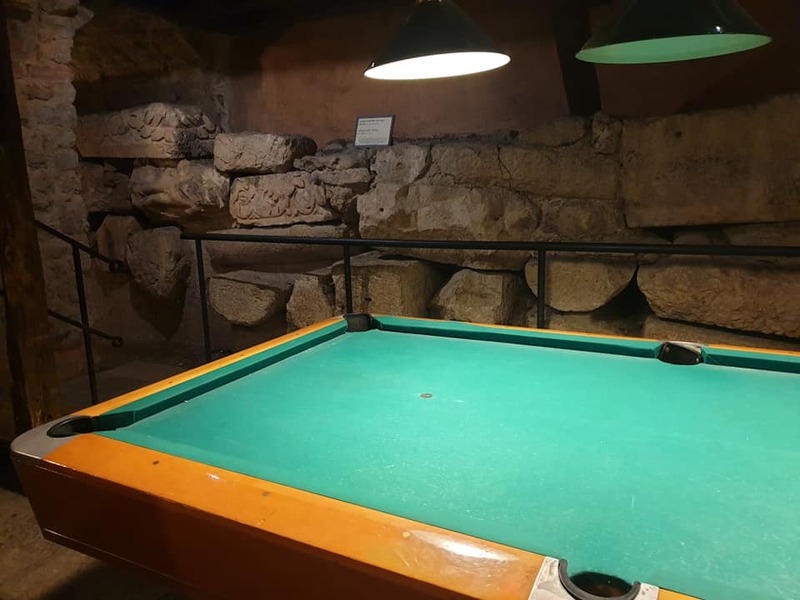 There is a very cool vibe, and there aren't many places in the world where you can play pool next to such antiquity. To learn more about the Krk Food Fest, Tastes of Spring, visit the official website, or follow the event on Facebook. ZAGREB, April 20, 2019 - Bosnia and Herzegovina's Chief Prosecutor Gordana TadiÄ‡ said in Sarajevo on Friday that the investigation into the alleged recruitment of Bosnian citizens by the Croatian intelligence agency SOA had not been completed yet, expressing regret that the SOA and the Bosnian intelligence agency OSA had not settled this problem in direct communication between themselves. The two agencies "should have settled it between themselves and it should never have become public because it disturbed citizens in Bosnia and Herzegovina as well as in the region," TadiÄ‡ told the press in Sarajevo. It was the first time that the public prosecutor had commented on the scandal which broke out after the Zurnal.info news website and Bosnian Security Minister Dragan MektiÄ‡ claimed in mid-March that SOA agents tried to recruit citizens of Bosnia and Herzegovina with ties to radical Islamist groups to illegally transport weapons within the country and plant them in Islamic places of worship as proof that Bosnia and Herzegovina has become a stronghold for thousands of potential terrorists. After that, prosecutors opened an investigation into those claims, and TadiÄ‡ said on Friday that her colleagues had found that the three persons named in this case â€“ Deputy Security Minister Mijo KreÅ¡iÄ‡, Croatia's Consul General in Tuzla Ivan BandiÄ‡, and Mato Ä�akoviÄ‡, a journalist with the Bosnian Serb TRS television network, were not involved in such activities. At the same time, prosecutors opened an investigation into Minister MektiÄ‡ on suspicion of disclosing confidential information and jeopardising national security. TadiÄ‡ would not comment on this case, but she did confirm that the investigation into the allegations that SOA agents had put pressure on citizens of Bosnia and Herzegovina in attempts to recruit them, was continuing. The chief prosecutor said that there was also a third line of investigation leading to Slovenia. She said that a prosecutor would go to the Slovenian town of Novo Mesto to interview a Bosnian citizen who said that SOA agents had intimidated him to get him to collaborate with them. When that part of the investigation has been concluded, the Prosecutor's Office will present the results of the investigation to the public, TadiÄ‡ said. More news about relations between Croatia and Bosnia and Herzegovina can be found in the Politics section. Dinamo Zagreb has been crowned the Croatian champion for the 2018/19 season. 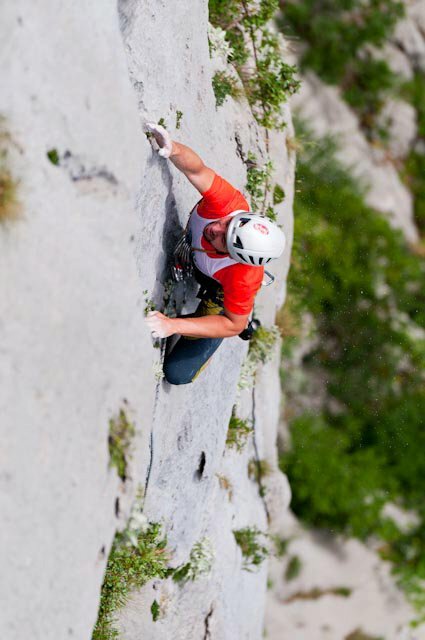 April 20, 2019 - Putting Croatian adventure tourism on the map, with the biggest welcome in the world. 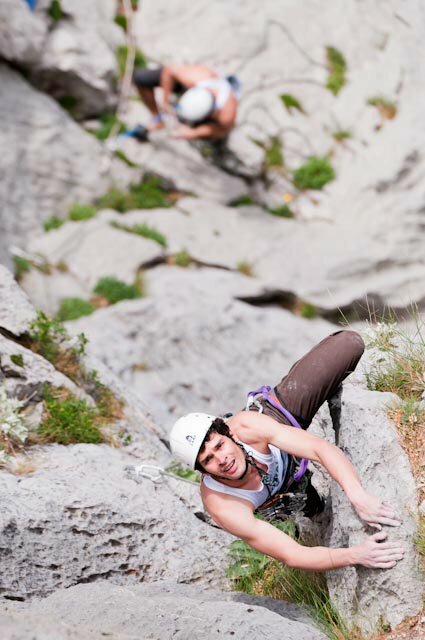 Day 27 of this incredible 2011 adrenaline trip covering 2,500 km along the Croatian coast. The World's Biggest Welcome, an ambitious adventure tourism project in 2011 in Croatia enters Day 27 of this 2019 appreciation of one of the finest tourism promotion projects ever in Croatia. The plan? 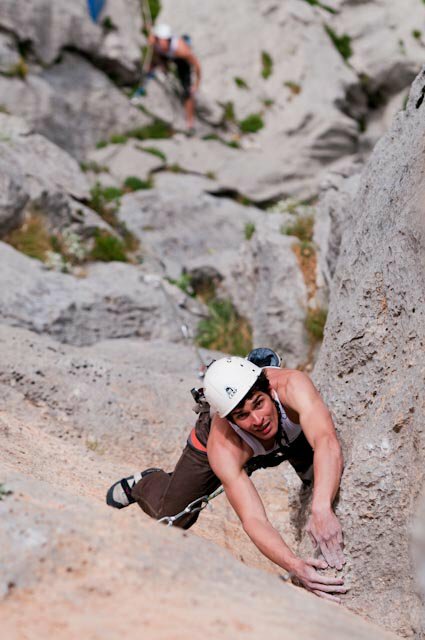 To showcase the diversity and fabulous offer of adventure tourism in Croatia by following a GPS route the length of the Croatian coast in the shape of the word 'Welcome' - thereby creating the biggest welcome in the world from a hospitable tourism country. 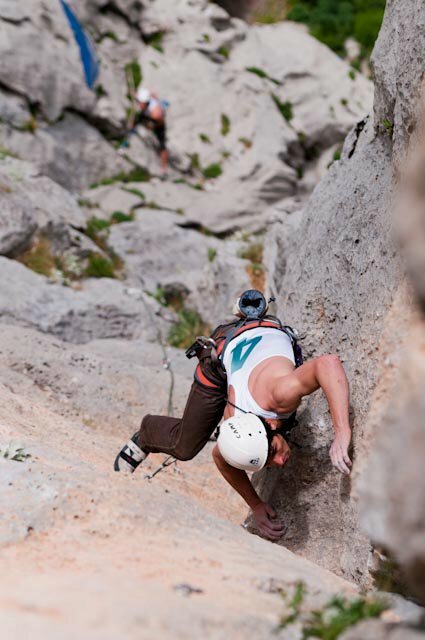 Day 27 continued in NP Paklenica for day two of big wall speed climbing. 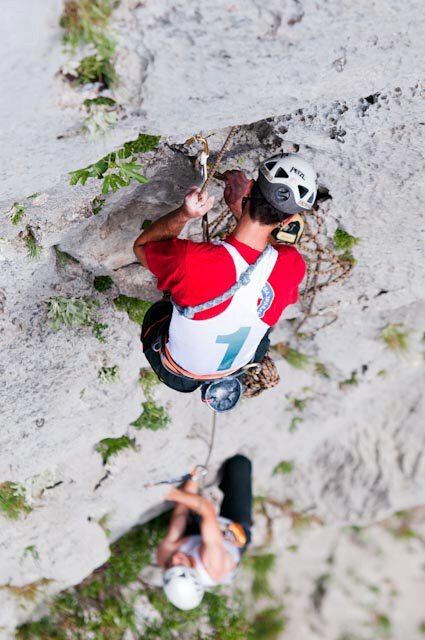 No significant movements were made on this day as Lacko and his team continued enjoying the Big Wall Speed Climbing competition in the Velika Paklenica canyon. They are currently forming the â€˜Câ€™ in â€˜Welcomeâ€™ on their journey. 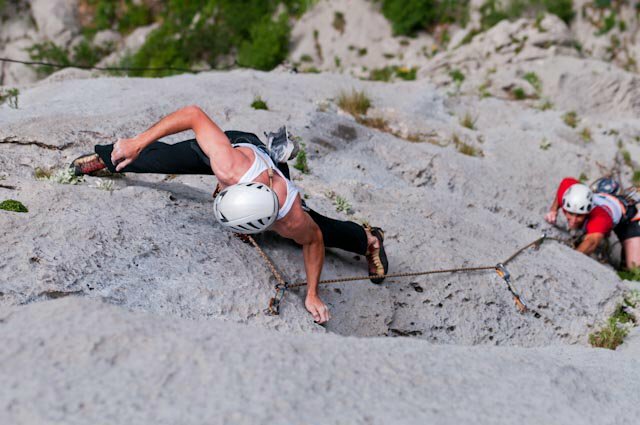 According to NP Paklenica, the â€œBig Wall Speed Climbingâ€� competition has been going on in the canyon of Velika Paklenica since 2000. There are only a few rules to join the competition, like being over 18 years old and having teams that consist of two male, female, or mixed members. 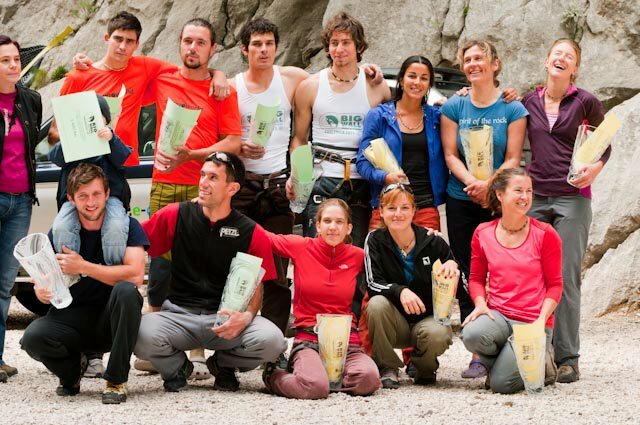 This year, the upcoming 20th International Climbers' Meeting and the â€œBig Wall Speed Climbingâ€� competition will take place from April 26 to 28, 2019. Here's a look at the competition back in 2011. Day 27 continued with the men's part of the competition. 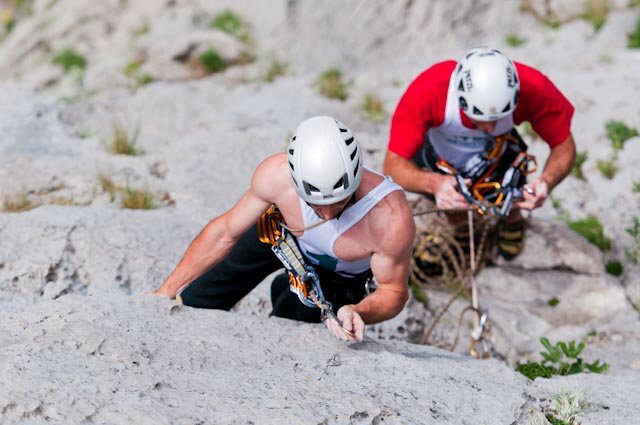 Winners Mako Marasovic and Emil Mucko climbed the BWSC route grade 6c+, 160 meters in length for 23 minutes and 36 seconds. The Slovenian team Matjaz and Nejc. Kreso Moric and Luka Kivela. And finally, the awards ceremony. A key part of the project was promoting tourism, and the official website has details of the key places visited during the day. You can see the entire project on the Welcome website, as well as much more of Luka Tambaca's stunning photography on the Welcome Facebook page. 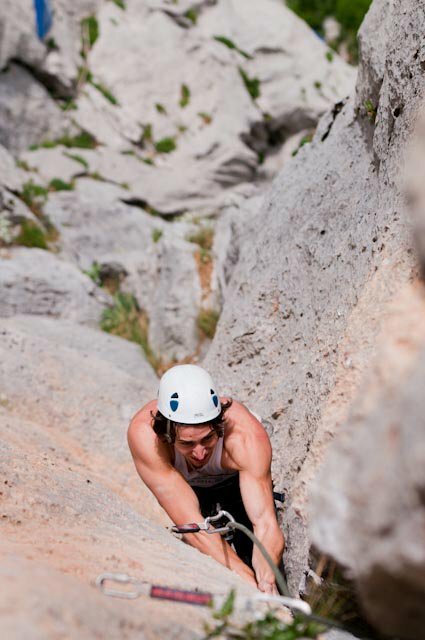 Tune in tomorrow for Day 28 as Lacko moves from Starigrad Paklenica to Zadar by kayak and bike. To follow the whole project from the start, follow the dedicated TCN page.